Personality (Friendly, mean, different, violent, etc. ): Easy going, very friendly person and really sweet, down-to-earth, but usually shy and quiet most of the time. Has a hard time making friends but when it comes to fun, the girl knows how to party and get crazy. She is a total bookworm, nerd, likes listening to music, and loves to sing. Doesn't like people getting bullied or being picked on. It irks her to see when it happens, and it really pisses her off. She will always be there for her friends, no matter what. Powers (optional):Well, this is kinda awkward since Athena kids don't really get powers but, I'll give it a shot. She can read English, but only when she uses her special glasses. After an hour or so, they make her eyes start to hurt, so she has to take them off, once in a while. RP Example: You know what really gets on my nerves? It's when people who act like they're all this and that go around, making other people miserable by bullying them. What did they ever do to deserve that? One of those so called "cool" people, is Drew Tanaka. I was sitting on the ground, my back against a tree trunk while I read peacefully, by myself. I decided to take a break, because these glasses were starting to hurt my eyes. I took them off and put them in their case, and safely put the case in my bag. That's when I noticed Drew Tanaka and her posse walk by and make looks of disgust at everyone. This girl is the one on top of my list of people I strongly dislike. It all happened so fast, it took me a moment to realize what happened. Drew bumped into a girl who was just standing there, causing Drew to spill her double caramel spiced latte all over herself. "Look at what you did, you jerk. You ruined my favorite blouse, I can't believe you did that," Drew screamed, her face as red as a tomato. "I'm really sorry. I didn't mean to, it was an accid-" the girl was saying, trying to apologize, but Drew cut her off. Don't you dare say it was an accident. Of course you did it on purpose, and I hope you're happy now because you just messed with the wrong girl. Get lost, you freak. You're a loser." "Hey, don't talk to her like that," I spoke up, walking up to them. "Stay out of this. This is none of your business," Drew spat. "No, I'm not going to let you treat her that way. This isn't her fault. It's yours. If you weren't so busy drowning your face with lipstick like the stuck-up rich girl you are, then none of this would have happened," I advised her. "What did you just call me?," Drew fumed, her nostrils flaring with anger. "You heard me. I called you a stuck-up, snobby, little rich girl," I answered. "You are so going to get it, now. Come back here, you little brat," Drew screeched as I ran away as fast as I could, looking back over my shoulder and winked at the girl who mouthed "Thank You." Biography: Daisy had been sent back to the mortal world, after she was born but the only problem was, she wasn't sent to the right place and so, she became lost. A woman who gave up her baby decided to take her back, but when she went back, she found Daisy instead. Thinking Daisy was her baby, she took her in, and so, the immense years of misery began. She wasn't happy with the woman and her husband, even after she left him. The woman treated her very badly, and hurt her a lot. Daisy didn't like it, so on the eve of her 10th birthday, she decided to run away. When she did, she was shocked to see that monsters started chasing her. She remembered when she was little that monsters had attacked her, but she thought it never happened and it was only in her dreams. Luckily, a boy with tousled, black hair and startling sea green eyes helped her escaped and took her to a camp where he said she would be safe. 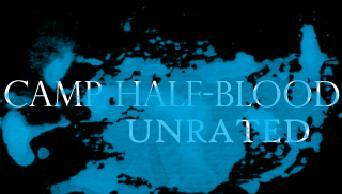 He said the camp was called Camp Half-Blood. And after a year of two, her father, Andrew Holland, who had been looking for her like crazy when he found out she even existed, found her, and they were reunited.